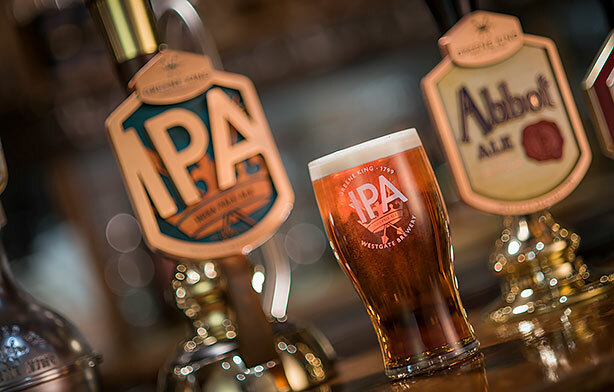 The Greene King family is made up of many pubs, restaurants and hotels that guests love and keep coming back to, and that you could be a part of. Just like the members of any family, each of our brands has its own personality and story to tell. Find out more about them and see which one you think suits you best. A classic country pub with a twist. We are proud to offer expertly chosen food and drink mixed with the unmistakable hospitality and warmth of a real British country pub. Welcome to Farmhouse Inns where making guests go WOW is our specialty. We aim to provide the best dining and drinking experience for guests of all ages. We’re anything but an ordinary pub. Steaks are our specialty and with our knack for the dramatic, you never know what we’ll do next to make our guests’ night better. Fill up on good times. Whatever occasion brings our guests to Hungry Horse, our special team of passionate ‘Day Makers’ is there to go above and beyond. A little something for everyone. Our Greene King Pubs bring people and communities together. The best part is welcoming our guests and catering to all their needs – from proper pub food to the full restaurant experience. Discover and explore England’s hidden gems. We’re full of charming and traditional character, as well as modern comfort, so that our guests can get lost in a wealth of local history and culture. Famous for sustainably-sourced seafood, our Loch Fyne Seafood & Grill restaurants open daily to serve our guests fresh and delicious meals. Proud to serve visitors and locals alike across Scotland. Be part of centuries of tradition in good food, drink and hospitality. The Scottish way.